As a business executive, if you feel you’re not receiving value from your company’s investments in IT, you’re not alone. In this post, we’ll lay out practical actions business leaders can take to help ensure their investments in IT systems consistently deliver more value. It’s a staggering statistic – more than two thirds of IT projects either fail completely or fail to deliver the value expected. Much effort has been expended to explain the reasons for this phenomenon – certainly the need for skilled people, defined requirements, project management and communication all play a role. Our experience also suggests a more fundamental shortcoming, one business leaders must take action on. Often overlooked are the ‘Why’ questions; proper definition and focus on the strategic intent and key success metrics behind an initiative. Failure to properly address the ‘Why’ questions can doom projects to failure before they even start. This problem can be particularly troublesome for IT systems projects where investment costs are high, timelines are long, and technical capabilities are not well understood. Every initiative should be chartered with a simple document, often one page, that outlines the key decision-making factors for an IT investment. The charter document generally covers the Why, How, What and Who questions surrounding a project (see Figure 1, below). Additionally, download a template Project Initiative Charter to help with your project planning, here. As Project Sponsor, a business executive must champion the initiative, communicate the project’s rationale, remove organizational barriers to progress, and ensure people are freed-up to adequately participate in the project. Do not abandon the sponsor role to the IT group, or others who do not have direct oversight of the primary business areas affected by the project. “Increase production, purchasing and scheduling labor efficiency and improve on-time delivery”. During execution of complex projects, conditions invariably change. Scope changes will be demanded, costs may climb, and schedules may slip. It is easy for the project team to lose sight of why the project was launched in the first place. 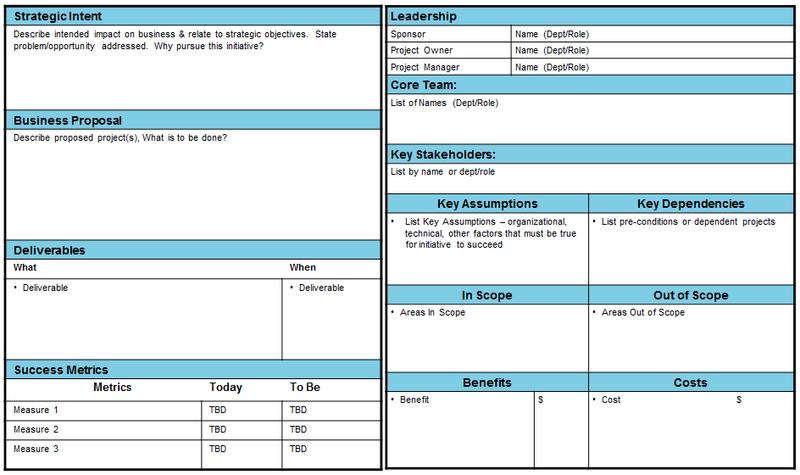 Here, it is critical to be laser-focused on achieving the ‘Why’ of the project; strategic intent and success metrics. Do not allow scope changes, unless they are required to achieve these objectives. On the other hand, if a solution proves inadequate, or if business conditions change such that the strategic intent cannot be achieved, the sponsor must be willing to make hard decisions, including course corrections and even cancellation of the project. If all this sounds like a lot of time and effort – it is! But it is imperative to recognize the cost of ignoring and losing sight of the ‘Why’of a project is much higher. 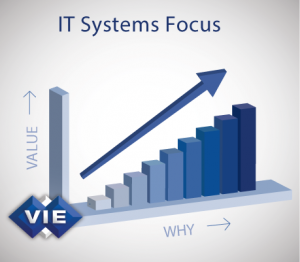 With the right team, timely advice, and using project ‘Why’ statements as primary motivators, you can beat the odds and succeed to achieve more value with IT systems initiatives. How effective are your IT projects?